Sugan Deon Naicker was arrested on Sunday afternoon at the Boksburg K90 Mall. 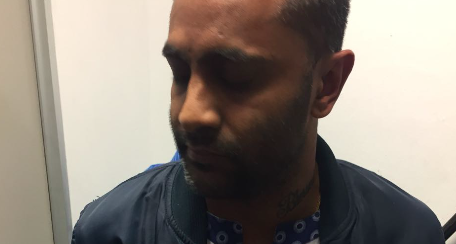 Chatsworth conman, Sugan Deon Naicker who was arrested on Sunday appeared in the Boksburg Magistrates Court today. 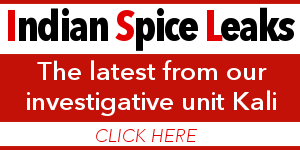 Naicker was nabbed at the Boksburg K90 Mall on Sunday in a joint operation by IndianSpice Investigative unit KALI, the victims & the Community Monitoring Services Benoni (CMS). He was spotted shopping with his sister, Elisha Lisa Naicker & her husband by victims who have open cases against him which he has violated. 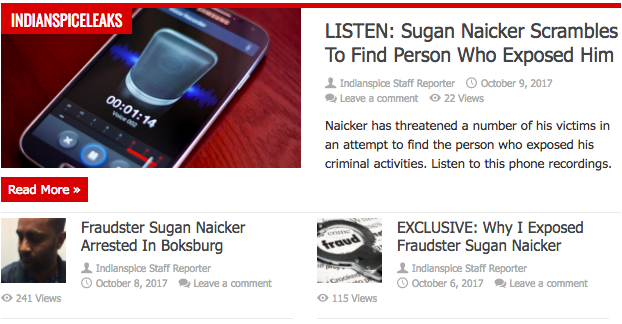 His other victims simultaneously opened a number of new cases across the country once news broke that Naicker has been taken into custody in Boksburg. The fraudster has been identified in a number of elaborate schemes where he has taken large amounts of money from people promising them returns on investments and other fake operations. Naicker was processed at the Boksburg North police station and was placed in custody for 48 hours since Sunday. Over the past two days victims have come forward with their existing cases and opening new charges against Naicker. The Boksburg SAPS and the IRS Forensic Investigations agency are working with victims adding on to the other charges that are filed against him. IRS Forensic Investigations specialises in financial crimes has been keeping tabs on Naicker, his movements and also assisting victims to recover their money from the fraudster. With the shocking amount of cases that have come forward against Naicker, the agency has a chance to now finally ensure that Naicker remains behind bars. A disheveled looking Naicker was hauled into court as existing charges were presented to the court, the state represented by Thashnee Ramcharan. The bail application was not run, it was adjourned for a formal bail application under schedule 5 or 6 (due to previous convictions) Ramcharan urged the court to hold Naicker in custody as he already violated conditions of previous cases in Gauteng and in KwaZulu-Natal. 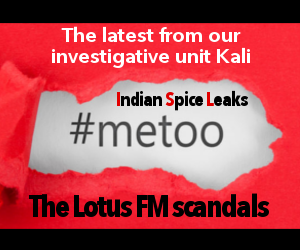 The case was postponed as the Investigating Officer is also on leave and is to make his presentation to the court, Naicker will remain in custody until the next appearance on the 16th of October. All new cases will be included in the docket and presented to the State prosecutor when Naicker makes his next appearance.